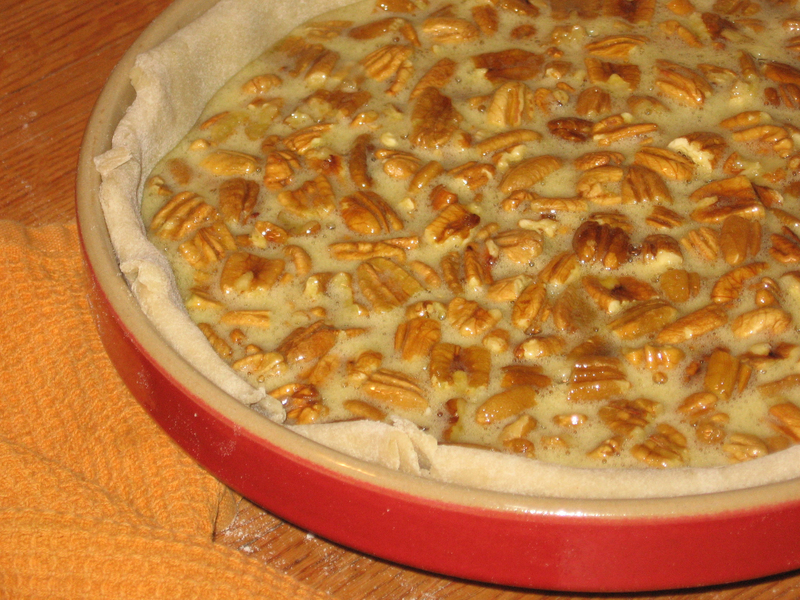 Pecan pie, from a recipe from my dear friend Jeanne McCanless. Jeanne passed away last week, and we are all thinking of her, and all that she shared with us, taught us, and gave us. She is someone who I am particularly thankful for today! 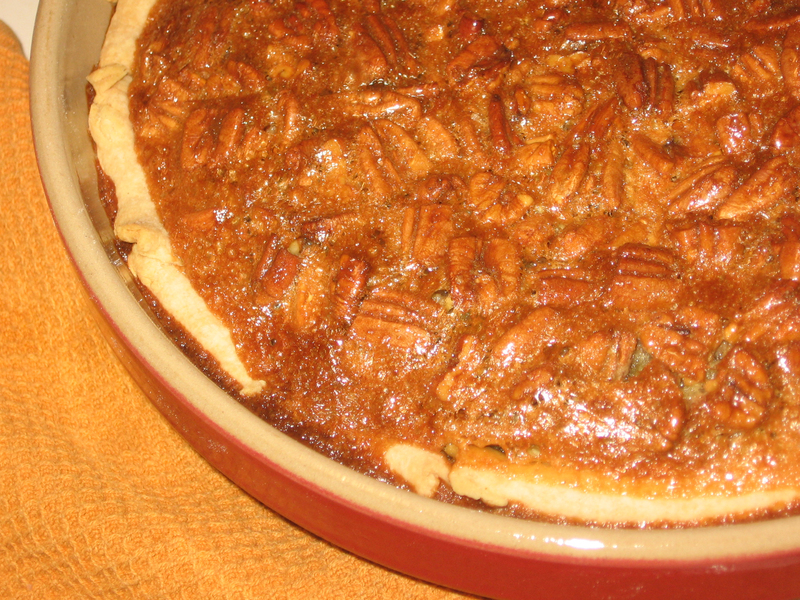 Here is her pecan pie recipe. Due to a slight spelling error it has turned into “borken” pie, which is how I will definitely remember it. 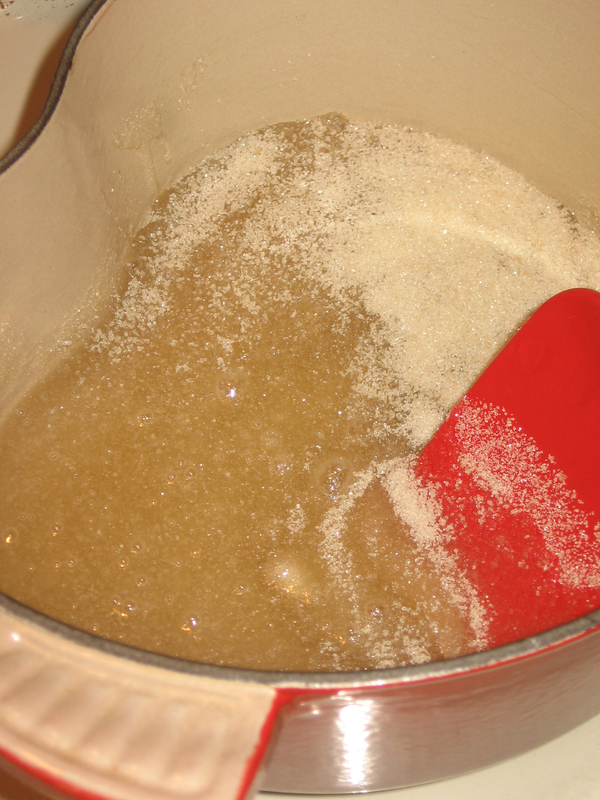 Boil sugar and syrup together three minutes. Beat eggs (not too stiff) pour in slowly the hot syrup, add the butter, vanilla and pecan meats. Turn into a raw pie shell and bake 350 degrees for 45 minutes or until set. 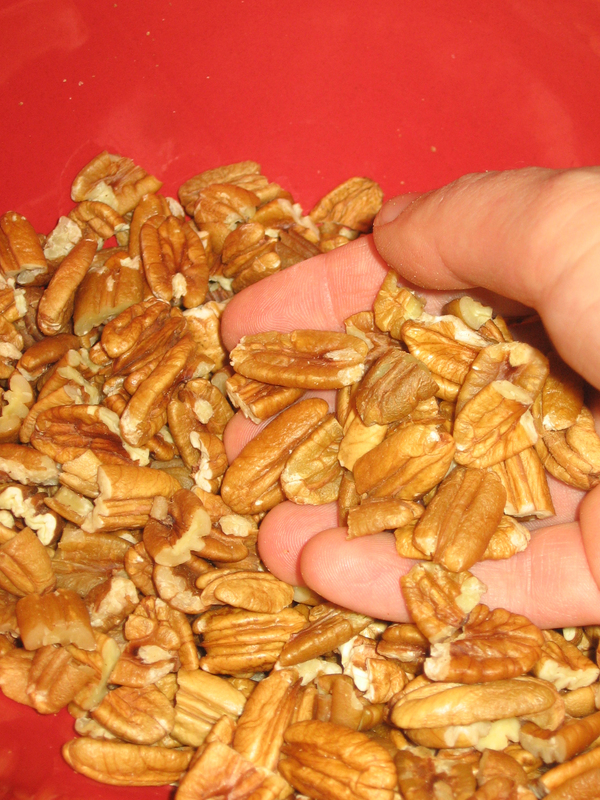 The pecans came from my dad. I think that he got them at the Dutchman’s Store, and they are this year’s crop from Missouri. Yum! Jeanne got the recipe from a coworker when she was a telephone operator. According to Jeanne’s son Jamie, they would actually have the pie on Christmas Eve, as it is super rich! It would be a treat all by itself. I didn’t know about Jeanne’s passing until just now as I read your post. I am so sorry to read it. You and your mom were true friends and enriched her life greatly, as she enriched the lives of all those in the Fairfield knitting community and beyond. I love that you are sharing her pie recipe. It’s my daughter-in-law’s favorite kind of pie. I will make it for her someday in honor of Jeanne. hmm..that is a thought. I guess that they are Northern. Oh well. Any chance I could get the sweet potato pecan pie recipe? That sounds amazing! !